When you run out of hot water, you need it fixed fast. Preferably today! With our water installation services, we’ll do exactly what you want. We offer a fast, friendly hot water installation and same-day emergency replacement. Heating the water for an entire house or building is quite a big job. That’s why we need hot water units to function as the “drive” behind the hot water in your bathroom and kitchens. If your hot water heats up too slow, if you run out of hot water sooner than usual or if you find yourself jumping around under a cold shower which was supposed to be hot, there’s a big chance that you’ll have to fix or replace some of your heating system. One thing is sure, when you run out of hot water; you need it to be fixed fast. Preferably same day. However, with our water installation services, that’s exactly what you get. We offer a fast, friendly hot water installation and same-day emergency replacement. 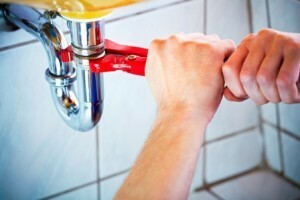 Of course, we do a lot more than just fix or replace broken hot water units. Perhaps your family has outgrown your old hot water system, you’re finding it too expensive, or you simply need the temperature turned down now that you have a toddler in the house, we’ll sort out any of your hot water issues, quickly and efficiently. It is very beneficial to choose the correct hot water system for your needs and to suit your home or building. It can be difficult to choose the right hot water system since there are so many options like gas, electric, solar, heat pump or instantaneous. Notwithstanding, we’ll assist you in finding the correct hot water system. We look at the important factors such as, what type of energy do you use in your home, how big do you need the system to be and how many bathrooms and kitchens should it supply with water. Your available space is also a factor, since this will help our plumbers to decide where the hot water system should be installed. Our plumbers are all fully licensed, have the correct endorsements and trained in the correct installation of all varieties of hot water unit installation. To make things easier for you all it takes is a call so we able to discuss your individual needs, find the best solution and give you a fixed price over the phone. We guarantee that your installation will meet the stringent criteria of all local councils and our Australian Plumbing Standards. This gives you peace and mind that you know you are getting an installation of the highest quality. Have you fixed your hot water system, but still have leaking showers Melbourne there might be an issue underneath your showerbase or tiles. Please contact a professional. Nathan Burkett Design is an award winning landscape architect Melbourne that has a reputation for designing and producing stunning gardens to a range of homes. The timeless gardens themselves are sustainable, functional and unique to you. Nathan Burkett completed a degree in landscape architecture at RMIT University in 2002 and won the RMIT award for Design Excellence in his last year. Offering exceptional landscape design, Nathan Burkett design aim to accurately match your brief and create an original garden that has individuality, functionality and is aesthetically stunning for years to come. Nathan has a wealth of experience and an eye for detail, and has been working in Melbourne gardens and homes for a number of years. Not only does he specialise in design, he also works in the construction of the gardens and on maintaining the project. Each project he works on is focused around design principles and ensuring a high level of workmanship is applied. He produces stunning work and has a knowledge of Melbourne, growing up in the inner eastern suburbs. Nathan Burkett’s work has been featured and recognised in the media around the globe. In 2010 Nathan was awarded the prestigious Allan Correy award for Design Excellence and in 2011 the Abode Garden of the Year. If you are looking for the best landscape designer for you, please call 03 9095 8344 to discuss how we can assist you. Nathan Burkett offers a complete service that includes Landscape Design, Landscape Construction, Landscape Garden Maintenance and many more design related services. We offer a high quality, low fuss solution for busy people and create memorable gardens that are sure to impress. You can also contact us on info@nathanburkett.com.au or visit our website at www.nathanburkett.com.au to view our previous work. Installing a pool cover is incredibly important, but not for some of the reasons people think. In fact, they are probably the most misunderstood pool accessory. If you think that the main function of the pool cover is to keep people or animals from falling into the pool, or even to keep the pool free of insects and leaves, then you’re mistaken. A pool cover isn’t really protective, so if you have one, you still need to lock up the pool area. Helping to keep the pool clean is only a secondary benefit of a pool cover or pool blanket. The fact is, the most important function of pool blankets and covers is not to keep things out of the pool, but to keep the water in. Water is always evaporating from the surface of the pool. The cooling effect of this is very noticeable – and easy to appreciate – on hot days. However, pool water also evaporates at night and on cloudy days. At those times, the evaporation does nothing but work against the pool’s heating system. This is because when water evaporates, it absorbs heat from both the air and the pool. An insulating pool blanket can almost eliminate evaporation during times when the pool isn’t in use, radically increasing the energy efficiency of the pool’s heating system. Of course, a pool cover or pool blanket also helps to keep the pool clean, and if it’s well insulated, it slows direct heat loss and well as heat loss by evaporation. Supreme Heating is an innovative manufacturer of pool blankets for the Australian market. 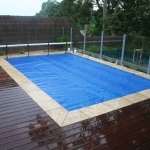 You can learn more about the benefits of pool covers and pool blankets and take a look at their line of products, which also includes solar pool heating systems, at http://www.supremeheating.com.au/. Diamond Creek, Australia – Dec. 20, 2015 – Precision Plumbing and Earthworks owner, Ben Farrell, provides 24-hour emergency services that includes repair, replacement and installation of water heaters. The plumbing service assists residential, business and commercial customers with inoperative water heaters or leaking units that flood the floors. Water heaters can fail to provide service for any number of reasons, from rust and leaky pipe unions to transient current. Units that are 10 years of age should be considered for replacement, particularly if it’s in a location where a water leak would cause significant damage. Rusty water from galvanized pipes, rumbling noises, and any moisture near a water heater should be viewed as an early warning sign of potential problems. Sediment build up at the bottom of the unit from minerals contained within hard water is common. It results in inefficient warming of water and corrosion that eventually eats through the casing. Rubber washers in unions and joints are also causes of leaks that can damage surroundings. Water heaters are susceptible to rusting from within. A rusting water heater won’t show any outward signs for some time, but when the casing rusts through it can be a small drip or a virtual tsunami of water that floods floors and ruins carpeting. Having sufficient water pressure is a major concern for performing tasks, but high water pressure is extremely detrimental to water heaters. The professionals at Precision Plumbing have the experience and expertise to remove and replace pressure gauges, valves and expansion tanks to alleviate damage to water heaters, pipes and appliances. While transient current isn’t a common cause of water heater deaths, it does occur occasionally when electricity from other sources makes a leap to water heaters or pipes. While Precision Plumbing can’t alleviate electrical problems, the experts can identify them so they can be eliminated. The 24-hour emergency services offered by Precision Plumbing and Earthworks extends to water heaters, burst pipes, drain clearing and replacing toilet cisterns. The company is fully licensed and offers free online quotes for customer convenience. Owned by Ben Farrell, Precision Plumbing and Earthworks clears blocked drains, replaces and repairs water heaters and pipes, clears blocked drains and sewers and leaking roof repairs. The company serves the needs of residential, commercial and business customers in Diamond Creek, Greensborough, Eltham, Bundoora, Heidelberg, Rosanna, Montmorency and Ivanhoe. There are plenty of cool months during the year where a pool is just not warm enough to use. Besides, it can get cold even in the midst of summer. Effective heating gives you the opportunity to maximize your usage and improve your pool’s comfortability, and the most suitable energy is solar pool heating your swimming pool. Not everyone can live in year-round warmth, but that does not mean you have to close your pool too quickly. 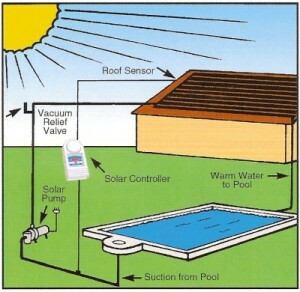 Several months of additional usage can be garnered from an outdoor pool once solar heating is installed. Also, dusk becomes a plausible time for a swim when a pool is heated. When you put so much effort into installing a quality pool, why not ensure you can get in and use it? Although the initial cost of a solar heating system is higher than other heating systems it is mostly a one time cost. Maintenance is little to nonexistent. The system itself will yield more years of use than a traditional oil or gas system and, after many years, may even pay for itself. In a sunny country like Australia it makes little sense NOT to use solar power. Compared to other countries that get less sun, Australia is in a prime location for solar power. While a cool swim can be refreshing when you are in the mood for it, most people prefer to be a few degrees warmer before diving in. Heating a pool increases its comfort level. Solar energy is beloved by the environmentally conscious as a preferred source of energy. Nonrenewable resources are not harvested for the machine’s operation, and CO2 emissions are minimal. If you own a pool it is probably one of your favourite areas of your home. While a quick dip is great, you should never be forced out of your pool because it is too cold. You should not have to deal with exorbitant heating costs, either. Pool solar heat takes that weight off your shoulders. © 2016 Throw Shapes. All Rights Reserved.